Here at Tool-Rank we often come across great tools that do their jobs well; but only every once in a while do we come across a tool that we absolutely love. Those products deserve some extra recognition and are given the Tool-Rank Pick badge, an award that tells the world they are special. Today the award goes to the Coast Rapid Response Knife. Originally, I was looking for tools and products to put in my 72-hour kit and Coast was gracious enough to send out a few of their lights and knives to be part of my kit. 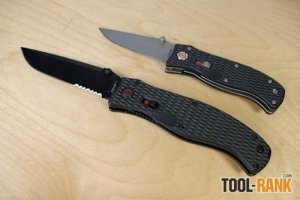 Well I ended up liking the 3-inch Rapid Response knife so much that it never made it into the kit. I actually like both the 3-inch and the 4-inch model, but I figured I needed something to go in my kit, so the 4-inch in black went to the kit because of its half serrated blade. 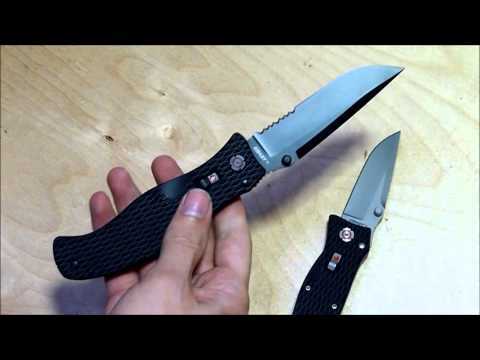 So what makes the Coast Rapid Response Knife so special? As is often the case with our Tool-Rank Picks, it took a number of things set it apart. First you will notice how beautiful the knife looks with its textured black fiberglass-filled nylon handle. It almost feels like bone and is easy to hold onto even with sweaty hands. It has a pocket clip that it positioned 180-degrees from that of most knives and is something I feel adds to the comfort. The blade can be quickly opened because of the spring assist feature, and can be securely double locked with the liner-lock and the added Max-Lock. You don't have to worry about the blade accidentally opening in your pocket, because the Max-Lock can also be used to lock the blade closed. I have more photos of the Coat Rapid Response Knife on my 72-hour kit build page. The Coast Rapid Response Knife has been chosen as a Tool-Rank Pick because of its comfort and design. It is comfortable in hand no matter if you are a righty or lefty, is easy to open with blade assist technology, and it has been beautifully designed by Ron Lake.